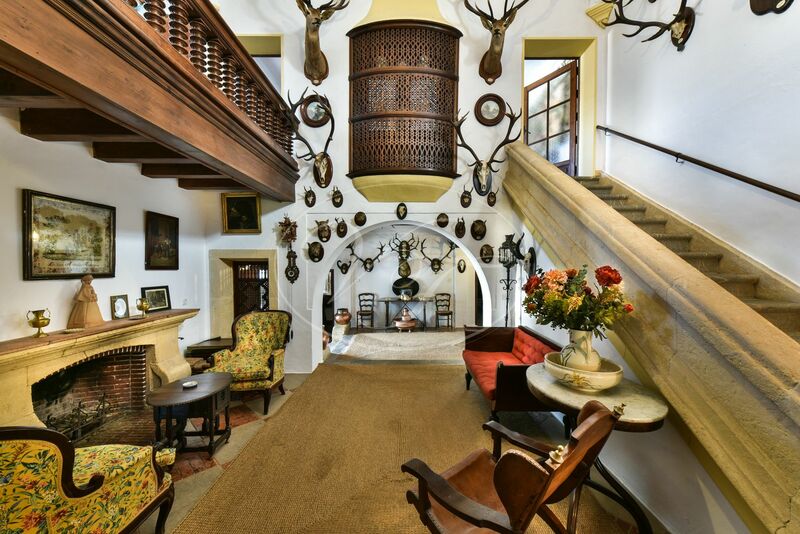 Hunting estate with spectacular Cortijo in the province of Cordoba, Andalusia, Spain. 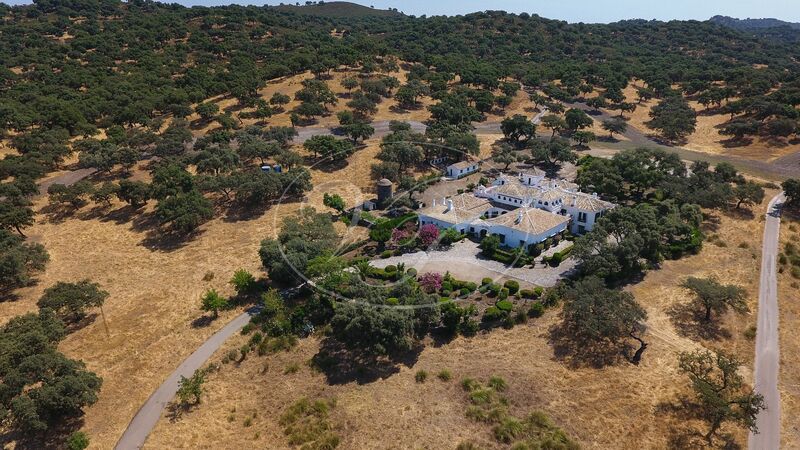 This shooting estate measures around 800 hectares of land. 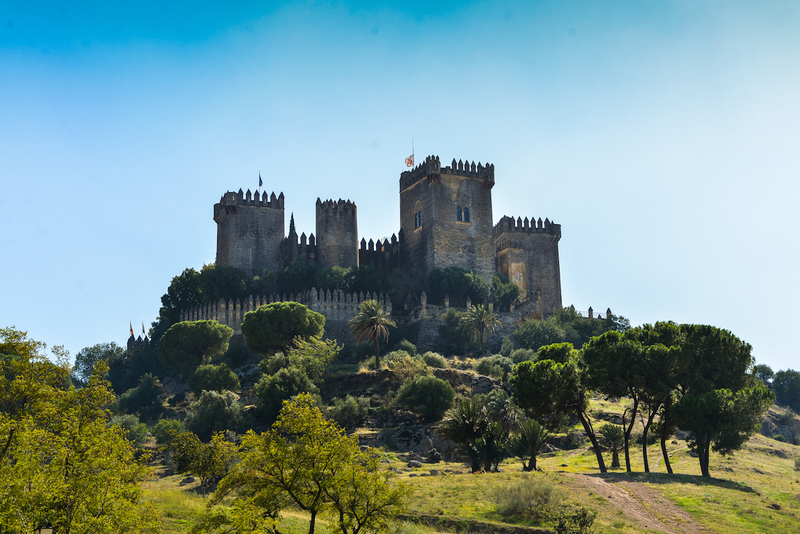 It has several buildings. 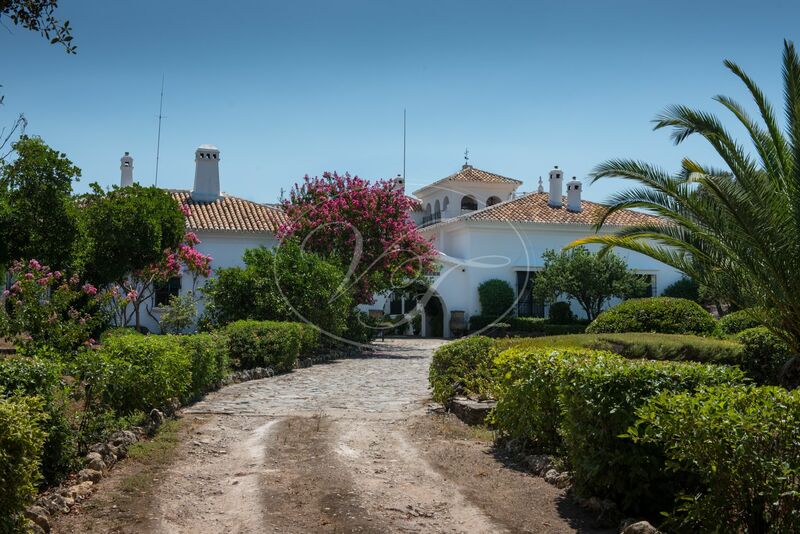 The main Cortijo is an absolute treasure. It counts with approximately 1000 m2 build size, has 11 bedrooms and has been built with an eye for detail as can be seen in the wooden floors, the pebbled patios, the vaulted ceilings and corridors. 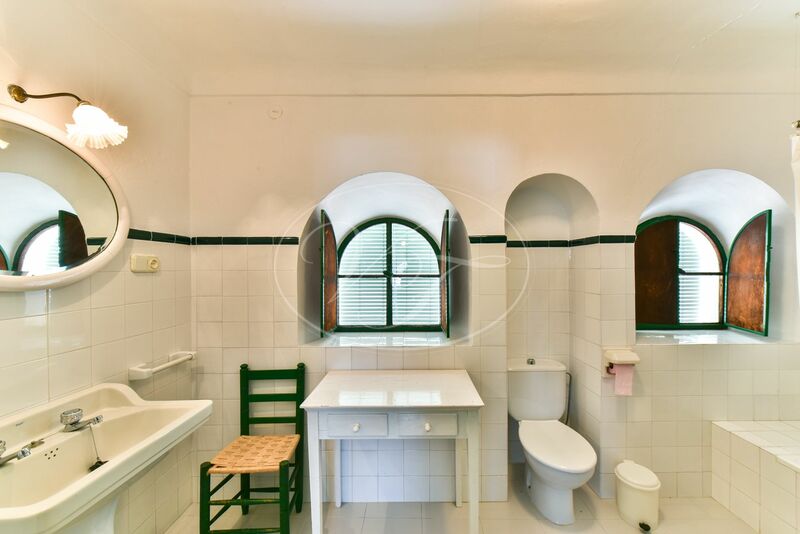 Little details as a cupboard with wooden panels, round windows to catch the light make that this hunting lodge oozes charm. 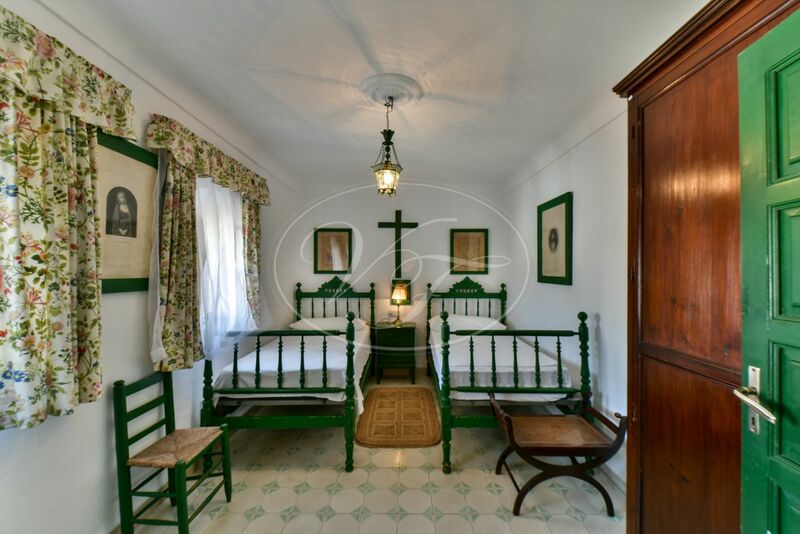 Next, to the main house, there is a chapel, a 2 bedroom staff house, a 3 bedroom staff house and 2 Zahurdas (pigsties). 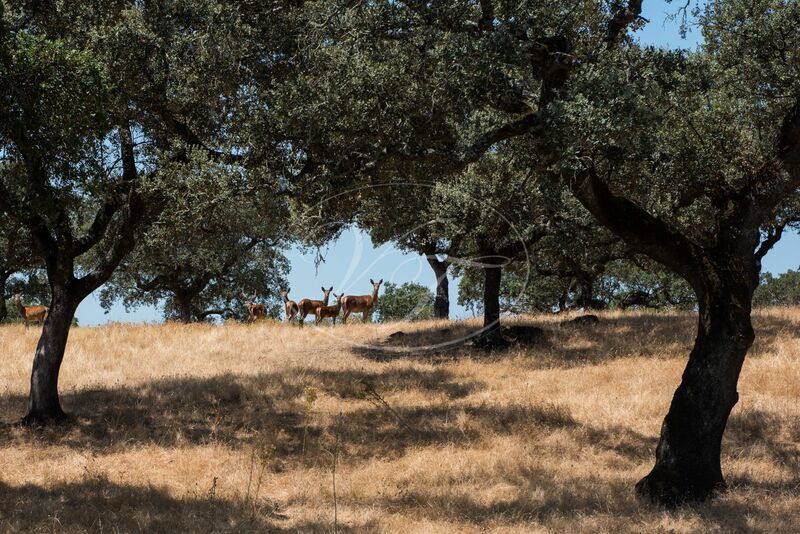 The hunting grounds are on lightly sloping land, very accessible, covered with cork oak and holm oak. 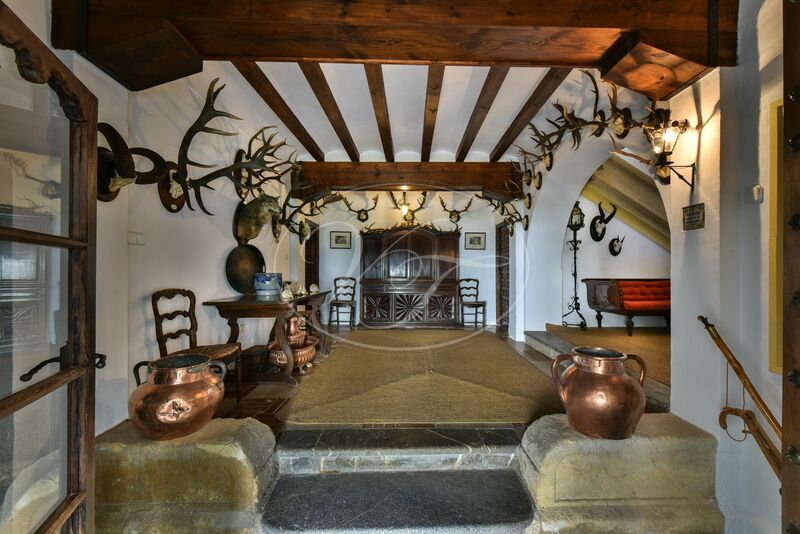 It is completely fenced and suitable for big game and small game hunting. 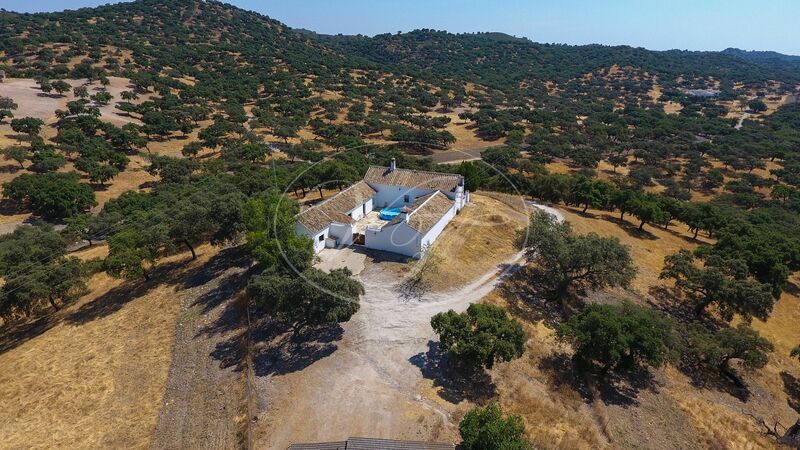 It has a healthy population of deer, Mouflon and wild boar and for small game, red partridge, Torcaz doves and turtle doves amongst others. 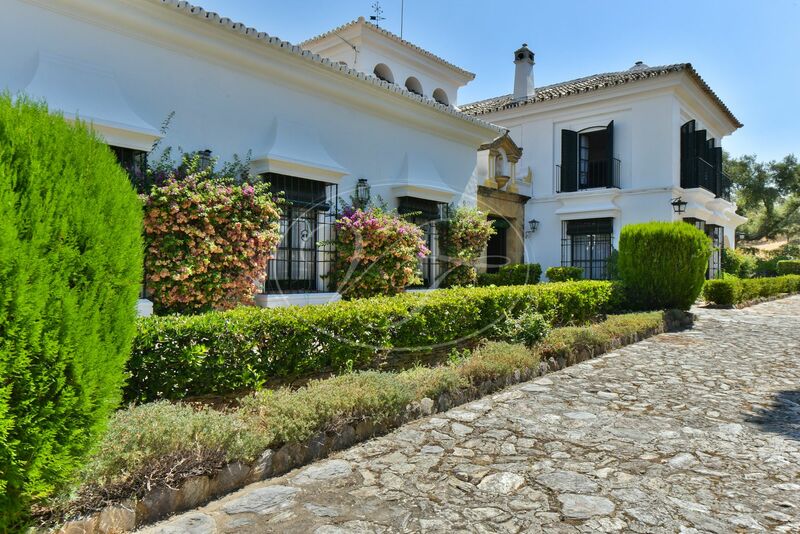 The main Cortijo is a spectacular piece of architecture. 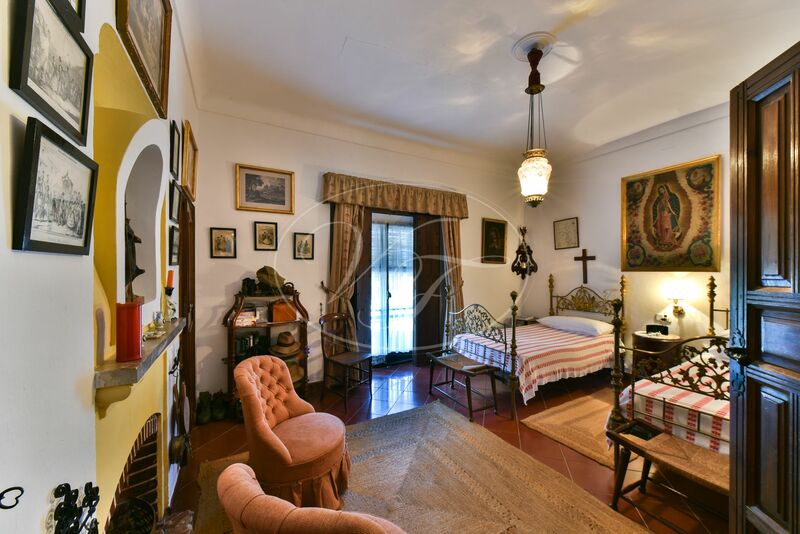 Built mid 20th century with a lot of taste and eye for detail using original and quality materials as is witnessed in the floors, the ceilings, the impressive chimneys and the wooden features throughout the house. 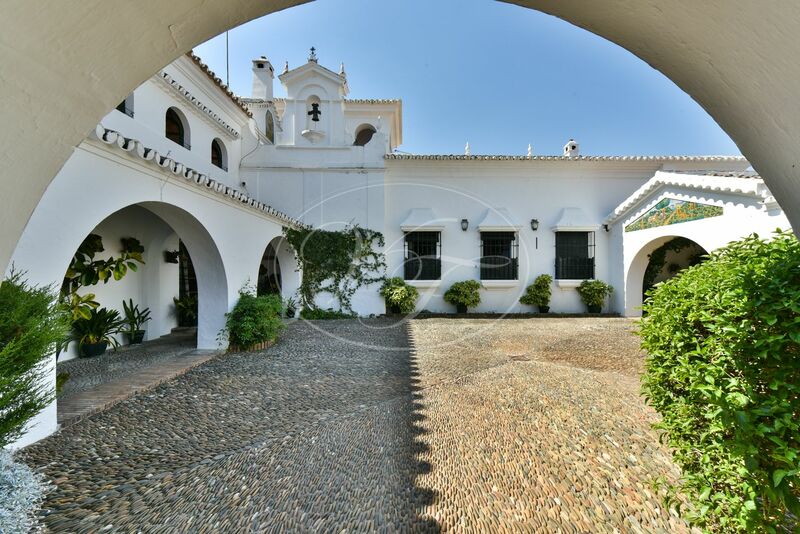 A pebbled courtyard gives way to the main entrance and the service entrance. 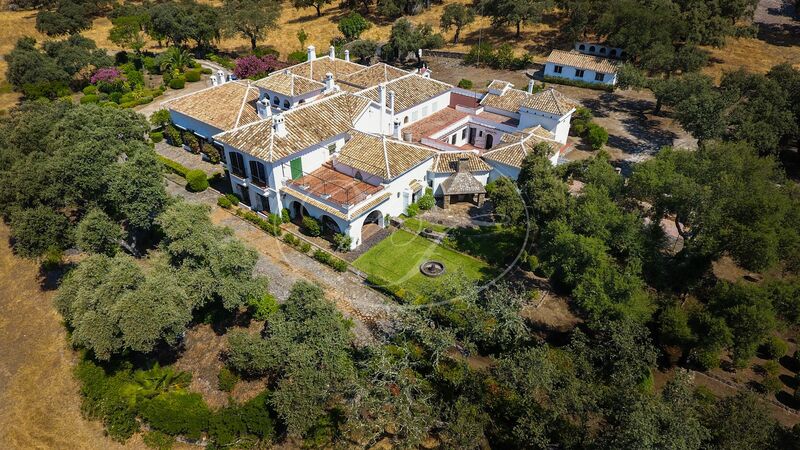 The main house with 8 bedrooms and 5 bathrooms is interconnected with the service quarters that hold another 4 bedrooms and 2 bathrooms. 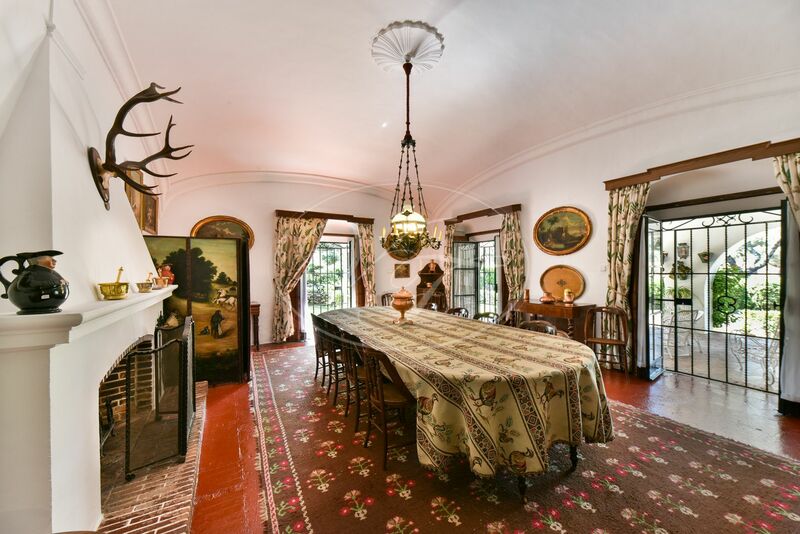 A large and spacious entrance hall with arms room leads to a reception area and further on the sitting room and dining room, all with impressive chimneys. 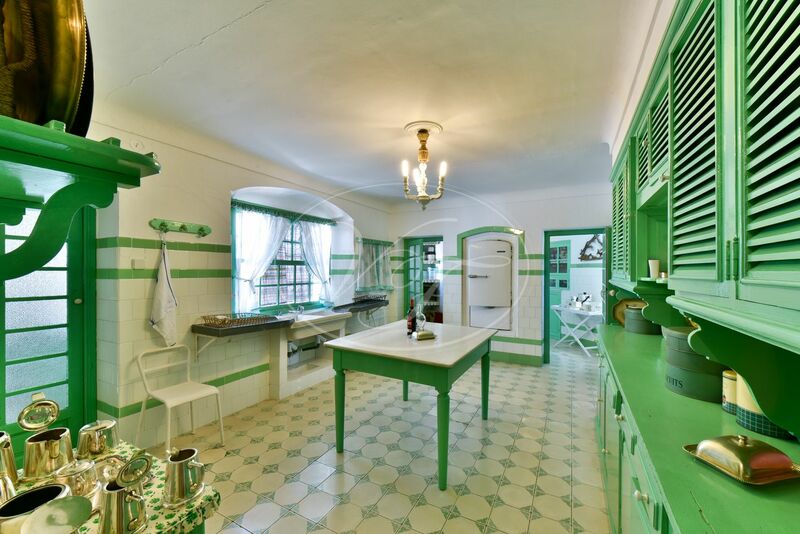 The house was originally built with a central heating system, yet this is no longer connected. 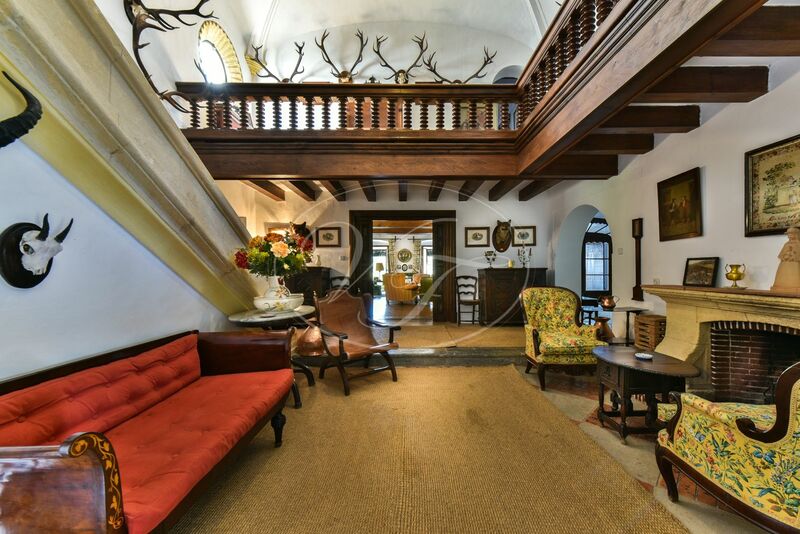 From the reception area, stairs lead to the first floor with a beautiful landing with sitting area and gallery. 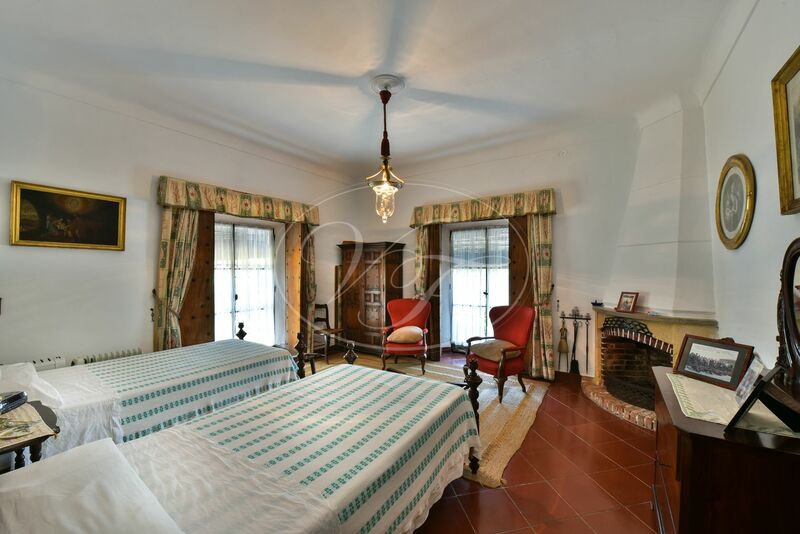 On this floor, you will find a large master suite with dressing room and bathroom. 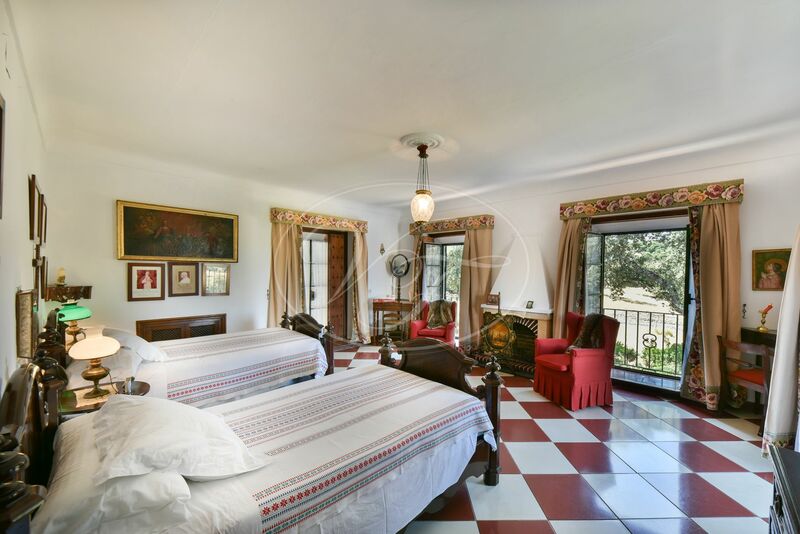 The master suite opens to a private roof terrace and has stunning views over the hunting estate. 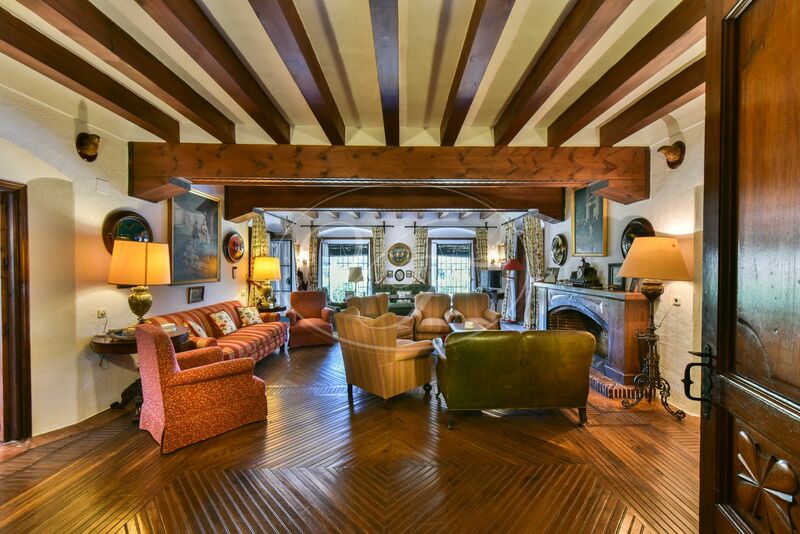 On this floor, there are 3 more bedrooms and 2 more bathrooms. 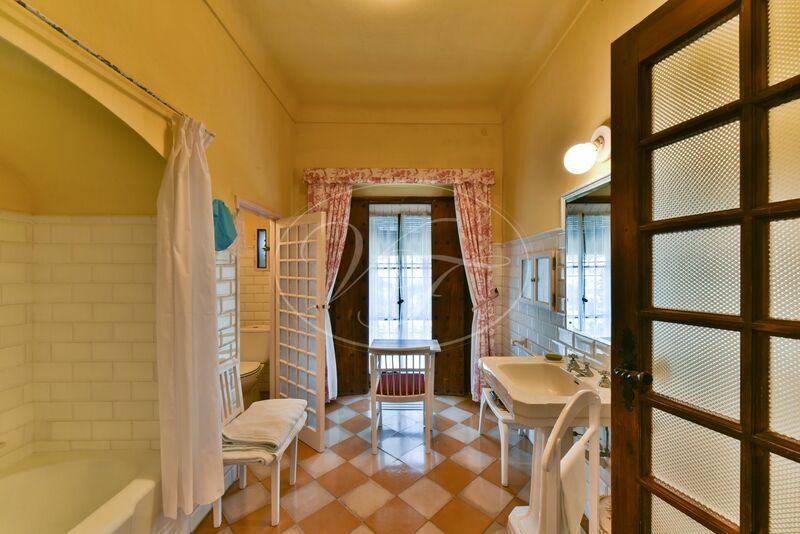 The ground floor holds 4 more bedrooms and 2 bathrooms for family use. 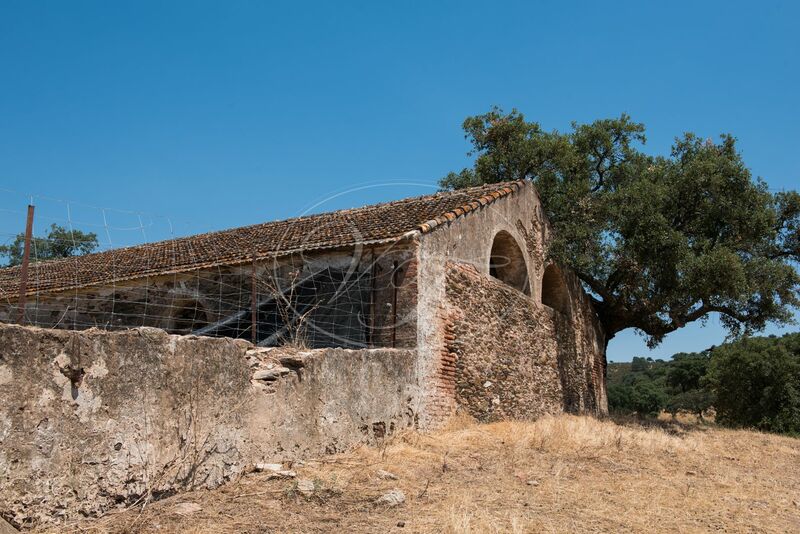 The chapel is in the centre of the Cortijo. 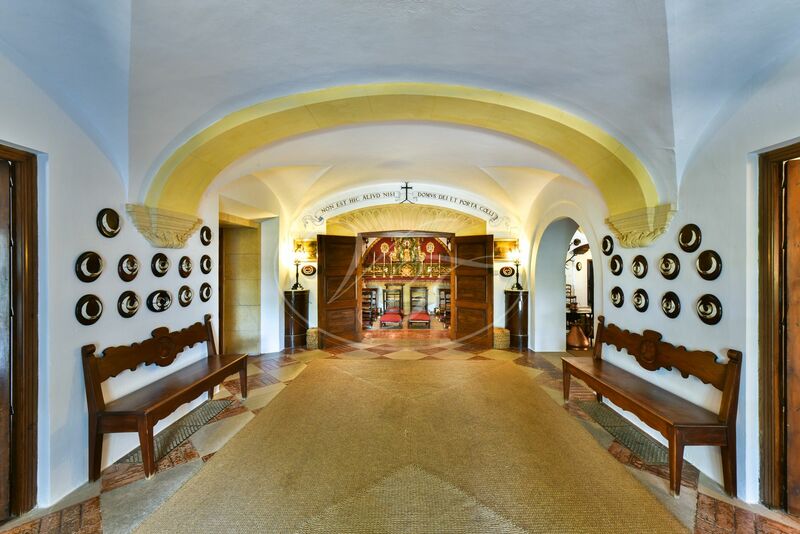 It has a grand entrance from the outside for guests and can be accessed as well through the main house. 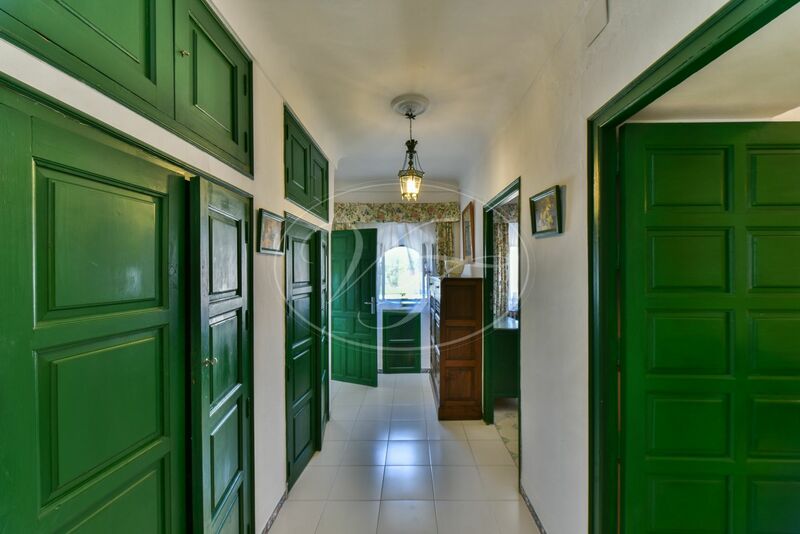 The traditional service quarters form part of the Cortijo and are connected to the family house through the kitchen, service stairs to the first floor and a corridor to the entrance hall. 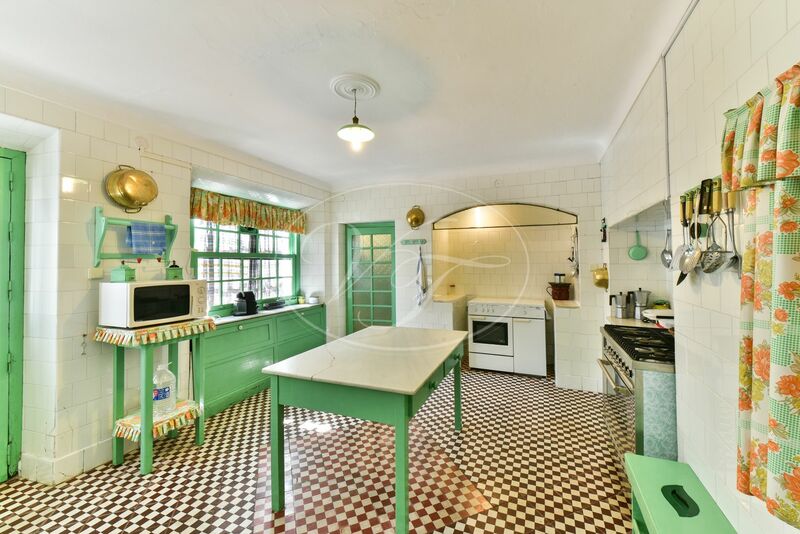 The large kitchen area is divided into a cooking and serving kitchen, large storage rooms (one of them the old cold room) and staff dining room. The second courtyard is connected here and also gives access to the laundry rooms. In the service quarters, 4 bedrooms and 2 bathrooms are reserved for staff. 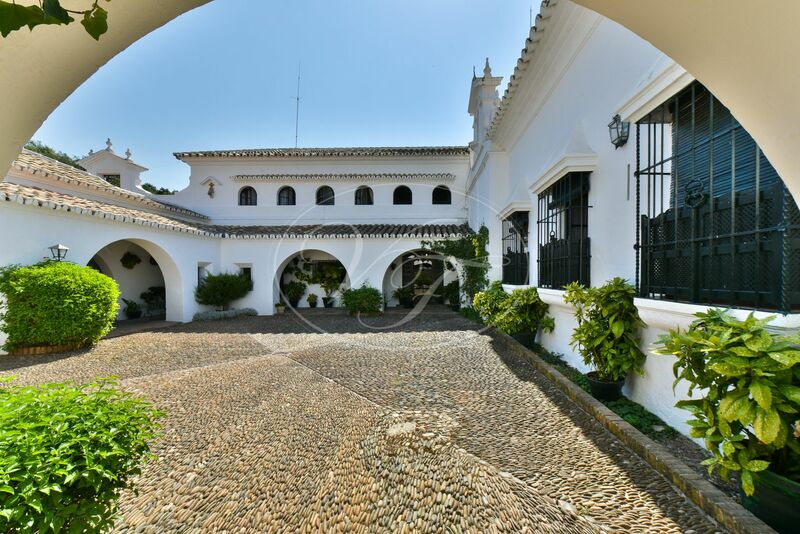 Next to this, there is a 2 bedroom staff house on the entrance courtyard for the housekeepers. In the centre of the estate, a 3 bedroom house is reserved for the caretaker of the land. 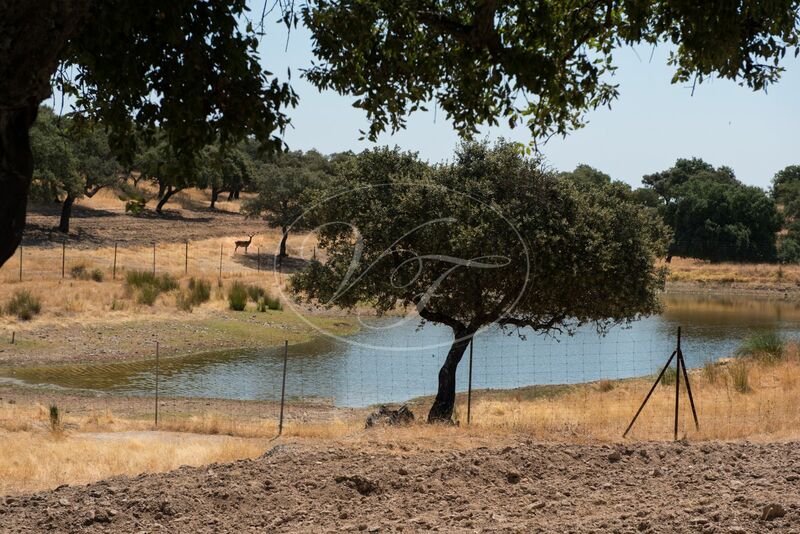 The estate has its own water supply. A borehole provides water for the house and a small lake behind the house is used to irrigate the gardens. Another lake further away from the house provides water for the animals and is used to feed the drinking areas on the estate as well as the pigsties. It also has its own transformer for electricity and has a landline telephone. The infrastructure on the estate is very well maintained. 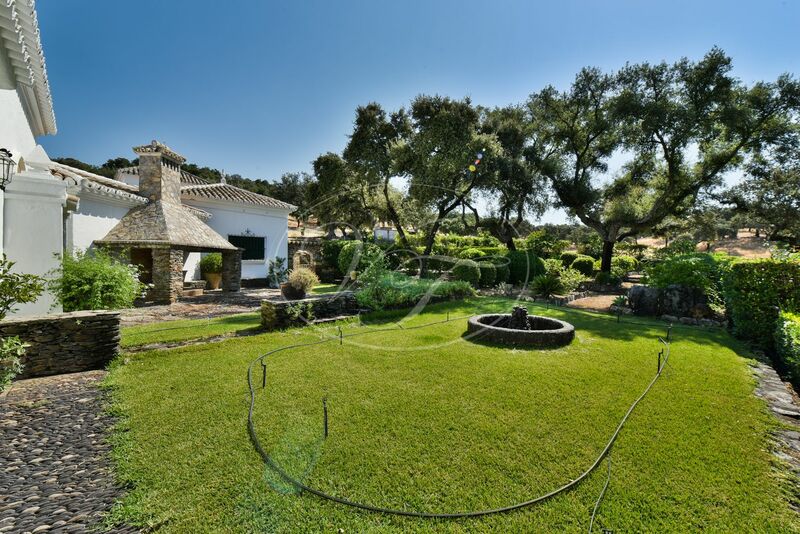 A 5 km asphalted track crosses the finca and provides easy access to the main house. From this road, many dirt tracks lead into the oak woods. The asphalted road has a right of way to one neighbour exclusively. 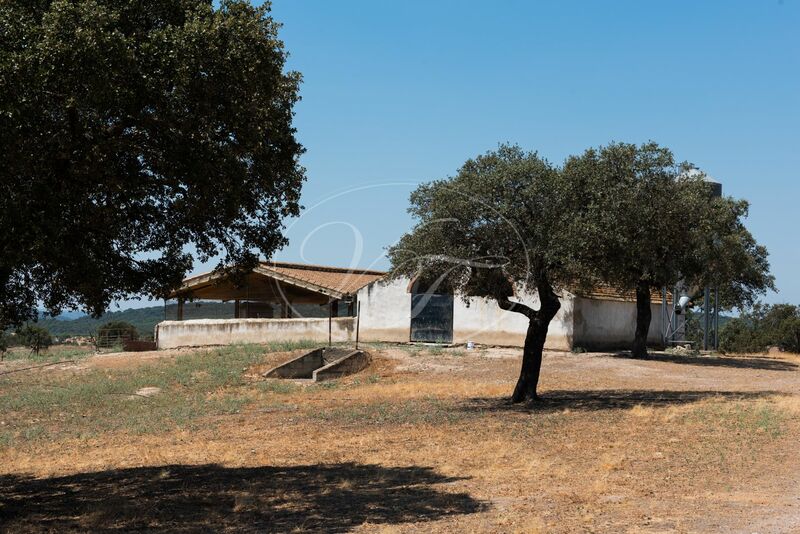 The main activities on the finca include hunting, free-range mountain piggery (pig feed with acorns) and harvesting cork. All these activities generate an important source of income for the farm annually. 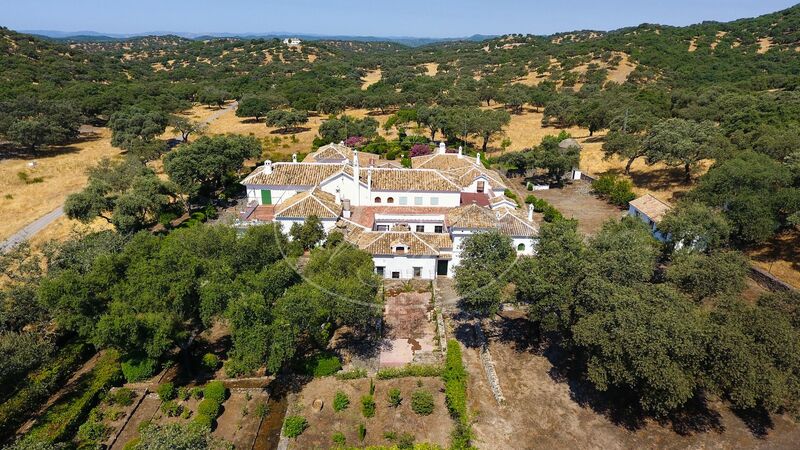 Located at 45 minutes from Cordoba city and 1 hour from Seville airport and 20 minutes from the nearest train station with direct connections to Seville and Cordoba. 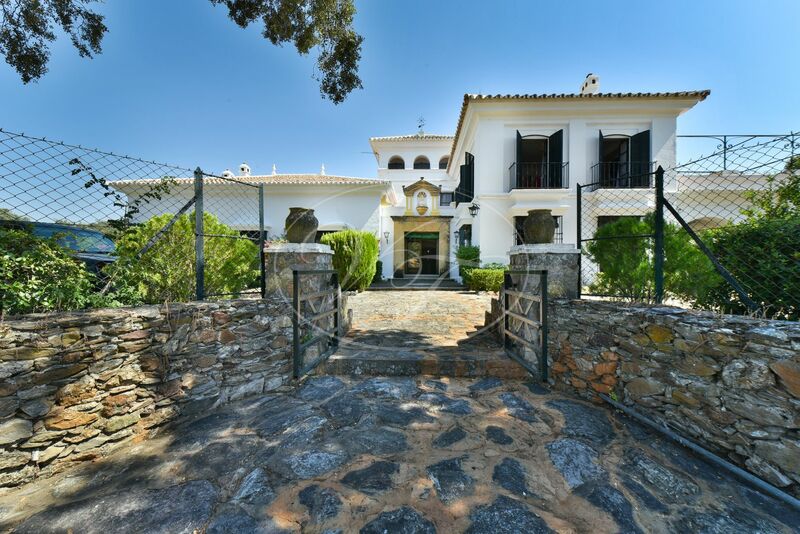 Please, send more information about ref 186-00626P, Cortijo in Cordoba or similar properties.